Hi guys. Have this 22 here from a estate. 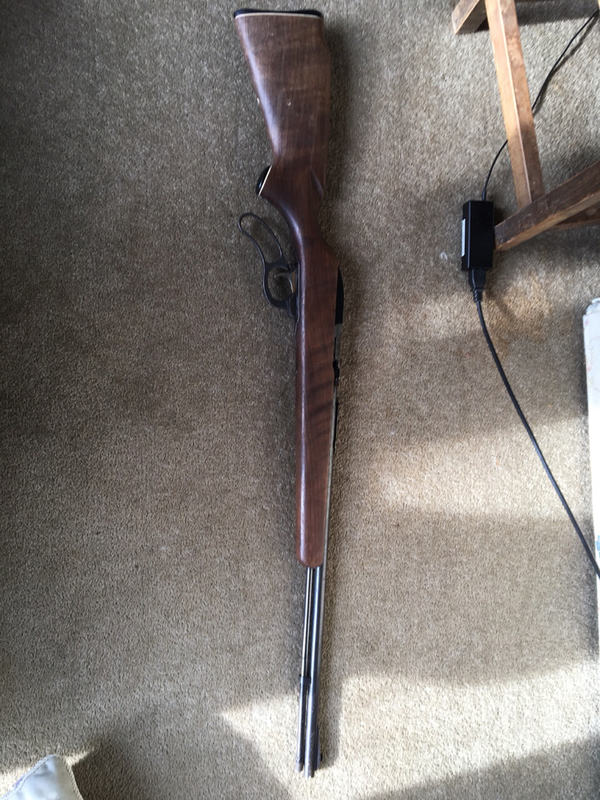 From what I can find on google After being told it’s a marlin and comparing to the photos I’m pretty sure it’s a model 57 22lr. It’s the first one I’ve seen and looks pretty interesting. Yep looks like model 57 Marlin levermatic, made from late 50s to about 1965. Smooth action, short throw. Could well have marlin's microgroove barrel which started around 1953. Marlin's main rimfire lever action is the model 39/39A, so-named from around 1920 and a very good 22LR. 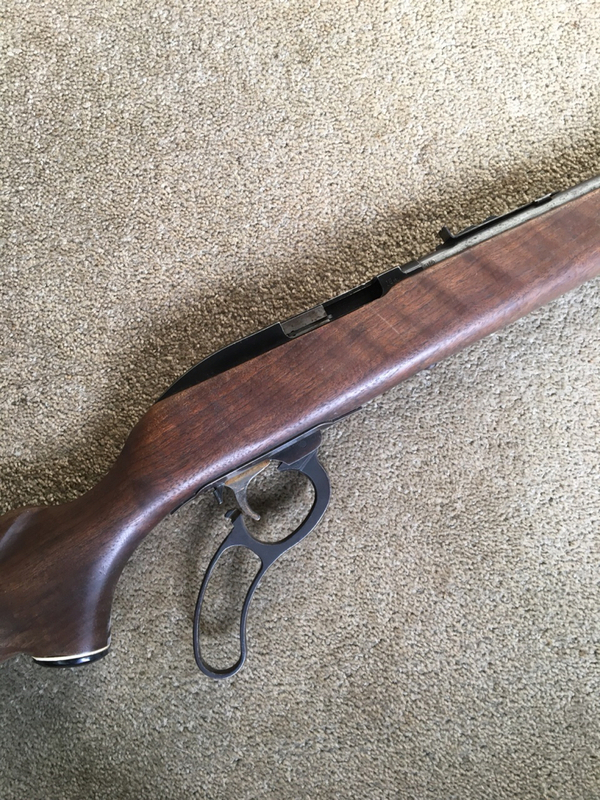 Still made today and one of the best levers you can buy (along with Winchester 9422, Ruger model 96, and the Browning/Miroku levers). This model 57 is a slightly different action from 39A resulting in v short throw. Should be a nice little shooter, and accurate if it has the microgroove barrel. Was not continued after 1965 or so, and not a high demand collectible. Very hard to price it but depending on condition it could go anywhere from $300 to twice that if several buyers take a fancy to it and bid. As a kid and teenager we had a 57M which was the 22mag version with a 4x scope. was a very nice shooter. I took a lot of goats and possums with it and Dad took the odd deer as well. Was probably a little on the heavy side compared to some of the lever rifles. Had a large tube mag capacity. The only fault it had which is common to tube mags was that the plastic follower broke and it would sometime retain a round in the sleeve only to pop up in the action some weeks later. mudgripz and viper like this. All times are GMT +13. The time now is 09:57 AM.